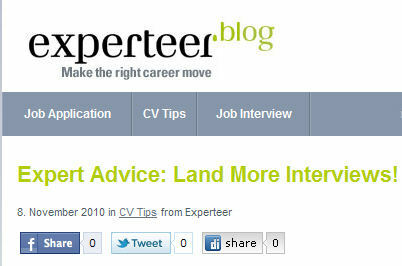 CV Critique - Get interviewed within 30 days, guaranteed! If you're a business professional earning €40K+ please complete all required* fields below to begin. 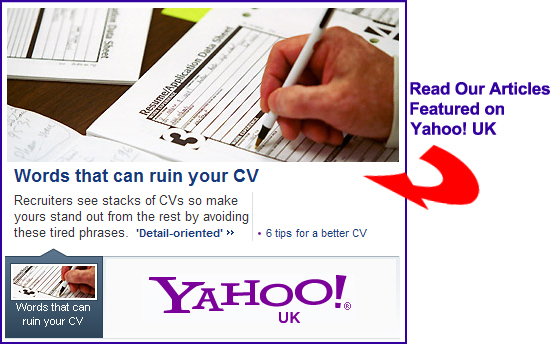 You'll learn if your CV is on target and how you can partner with a professional writer to revamp your CV. Get started today and find your next job faster! Is there any particular part of your CV with which you're unhappy? GetInterviewsCV.co.uk’s CEO Alesia Benedict is continually featured on leading websites and in the media. We’ve listed some of the highlights of her cutting-edge career advice below to help YOU with your job search! All trademarks/service marks are owned by the respective company or by GetInterviewsCV.